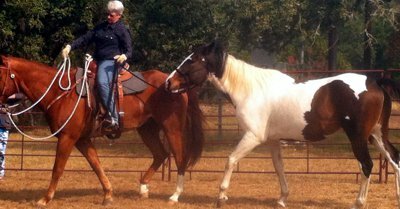 Intestinal ulcers are an unfortunate fact of life for many performance horses. Because ulcers can be so uncomfortable for horses, the temptation for their owners is to reach for the product that will offer the quickest relief, usually in the form of conventional drugs. However, these drugs block or buffer the horse’s stomach acid, which hinders digestion in the long term. Ten to fifteen percent of protein digestion depends on pepsin activity in the stomach and pepsin is only active in an acidic environment (i.e. when stomach acid is present). Stomach acid also acts as a defense against pathogenic bacteria colonizing the stomach and small intestine. While conventional drugs to offer immediate relief for the horse, they ultimately interfere with digestion and set the horse up for other long term problems. Natural products that do not contain calcium, magnesium, or aluminum buffers are the best choice for the long-term prevention and treatment of ulcers. Luckily, there are several products on the market that fit this description. This month I describe three herbal supplements—Aloe Vera, Slippery Elm, and Licorice—that can provide natural ulcer relief. Next month I will describe a series of non-herbal supplements that also work well. Aloe Vera is classified as a mucilaginous and bitter herb. It is beneficial for the skin, stomach, and colon. Aloe’s major properties are as a cell proliferant, healer, demulcent (soothing agent), and allergy reducer. It is high in digestible fiber, which gives it the properties of lowering bowel transit time, absorbing toxins in the bowel, regulating colonic bacteria, and soothing and protecting the digestive tract. Aloe also contains a complex mixture of mucopolysaccharides (complex sugars) that nourish cells and support them in replicating. This property is especially important for the healing of pre-existing ulcers. The polysaccharides also have an antibiotic action, which can be helpful for horses who have been on buffering agents or other medications that destroy healthy bacterial populations in the gut and allow pathogenic bacteria to multiply. Good quality Aloe juice can be found in most health food stores. I find that the Aloe sold by the quart is generally less diluted than the Aloe sold in gallon containers. Two to four ounces daily of the concentrated Aloe are usually adequate. You can also order high-quality Aloe juice here. Slippery Elm is a mucilaginous herb with similar properties to Aloe. The inner bark of the Slippery Elm tree is used and the powdered form should be light in color. Dark-colored powder is likely contaminated by the astringent and fibrous outer bark. In addition to having intestinal benefits similar to that of Aloe, Slippery Elm bark helps regulate bacteria in the intestine. The amount of bark used depends on the consistency of the powder. You need less powder if it is finely ground. Slippery Elm is often combined with Aloe juice for best results. Two ounces of Aloe and one to two teaspoons of Slippery Elm should be give two to three times daily. The mixture can either be added to the horse’s feed or syringed directly into the mouth. You can also substitute the herb Marshmallow for Slippery Elm because Marshmallow is more widely available and has almost identical properties. The popularity of Slippery Elm for digestive upsets is causing some stress on the native populations of the Slippery Elm tree. Aloe and Slippery Elm or Marshmallow are not only beneficial for ulcer cases but support digestion in general as well. They can all be fed long term with no negative effects. In addition, they are very cost effective. Order Slippery Elm and Marshmallow online here. The root of the Licorice plant is classified as a bitter herb. It affects the lungs, digestive tract, and liver. It is also considered a general tonic. Licorice is considered an expectorant, laxative, anti-inflammatory, anti-spasmodic, and anti-ulcer herb. Licorice owes its anti-ulcer properties to its content of therapeutic pigments known as flavanoids. These flavanoids can actually lower gastric secretions so this herb is not suitable for long-term prevention of ulcers. Licorice has anti-bacterial activity so it is beneficial for digestive upsets secondary to pathogenic bacteria. It also has anti-fungal activity against such pathogens as candida albicans, which can overgrow and disrupt the delicate balance of bacteria in the intestine. Licorice also has an anti-inflammatory property similar in strength to steroids so it can be very effective for bowel inflammation but it should be discontinued as soon as the condition is resolved. I use a tincture (herbal extract in alcohol) form of the herb, and give 10 to 15 cc twice a day for up to 10 days. I then discontinue the herb or decrease to 3 to 6 cc a day if I am treating a stubborn bacterial or fungal outgrowth in the intestine. Intestinal ulcers can show similar symptoms to stomach ulcers but they do not respond to acid blockers or buffers.